Type a keyword to search for products. 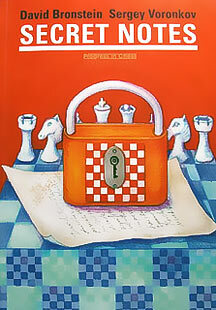 Practical Chess Endings back in print! Chess Computers back in stock! Magnus Carlsen wins World Championship! Type: BOOKS. Detail: Bronstein & Voronkov. Product Code: 9783283004644. Category: GENERAL. Publisher: Edition Olms. For more information from the manufacturer please visit xyz. Devious Chess. Avni, A. $29.95. DVD Speed Chess. GENERAL. $19.95. How to Beat Younger Players. CB GENERAL. $29.95. Beat the Odds. Allen, JE. $7.95. Note. 1 stars = average. 2 stars = excellent. 3 stars = classic. Click on detail to open up the print-friendly version of this page.